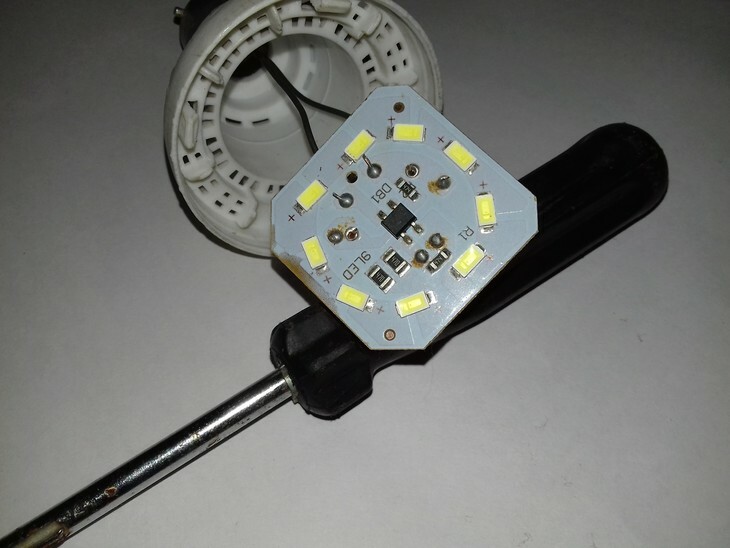 Efficient LED driving is tricky, you’ve to take care of both LED voltage and current. 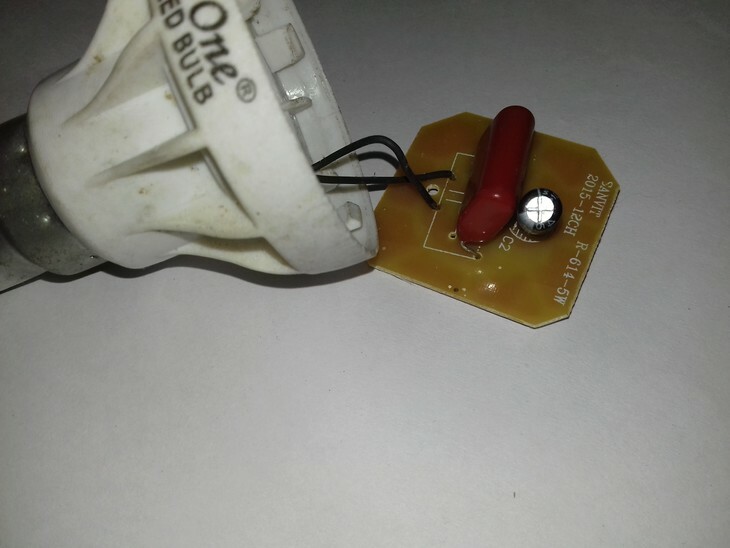 Here is a transformer less 220V LED circuit, not very efficient, but very simple and quick. This led driver uses just few parts, still capable of running LEDs from 150V to 230V , but the main point is it’s simplicity and low cost. First of all, have a look at the part list. Finally the circuit diagram, it’s fairly simple, have a look. Note that you can replace all components with their nearest value counterparts. 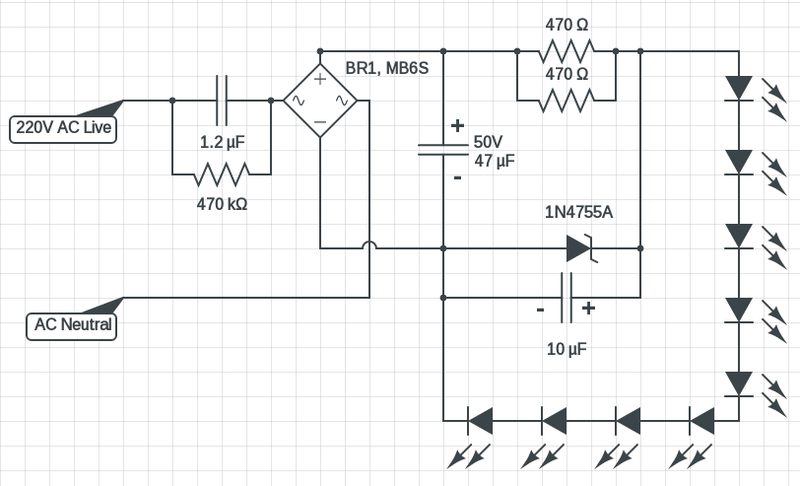 Like A bridge rectifier IC is not necessary, you can easily use four 1N4007 diodes in bridge configuration. In addition you can also remove the 10uF-63V electrolytic capacitor and the 45 volt Zener diode. I added them just as precaution to protect the LEDs from sudden power surges. This 220V LED circuit is as lethal as it’s simplicity, because it’s directly connected to the AC mains. Never touch anything while connected to AC power, just don’t be stupid enough to electrocute yourself. It doesn’t matters how you connect the inputs to AC line, as long as you’re not trying to touch anything ! The whole setup is easily available to purchase with a nice casing. It’s recommended to buy one, very chip. Sample pictures below. Back side of the LED lamp’s PCB. While this mains operated led circuit is simple enough and cheap too, but it’s efficiency is low, probably less than 40% , maybe even lower. So this circuit is not recommended at all for scale up, you’ll be loosing more power than actually some. Here you can find a much more efficient but a bit complex 100V-220V led driver circuit , it can power up multiple 5 watt LED. What should do, if i reduce nos of LEDs to 4 or 6? Then you need to increase the series resistances to 1 kOhm, 2 in parallel. Thank you for the schematics. Is there a formula? How can I make the LED’s more dim? Which resistor shall I replace and with which value to make LED’s emit at 20% of their brightness? I have a question regarding the 2 resistors in parallel. Are they 470 or 4700 ohms? cause in the schematic they are 470 ohm while in components lists they are 4700 ohms. It’s 470 Ohms, I missed a space.